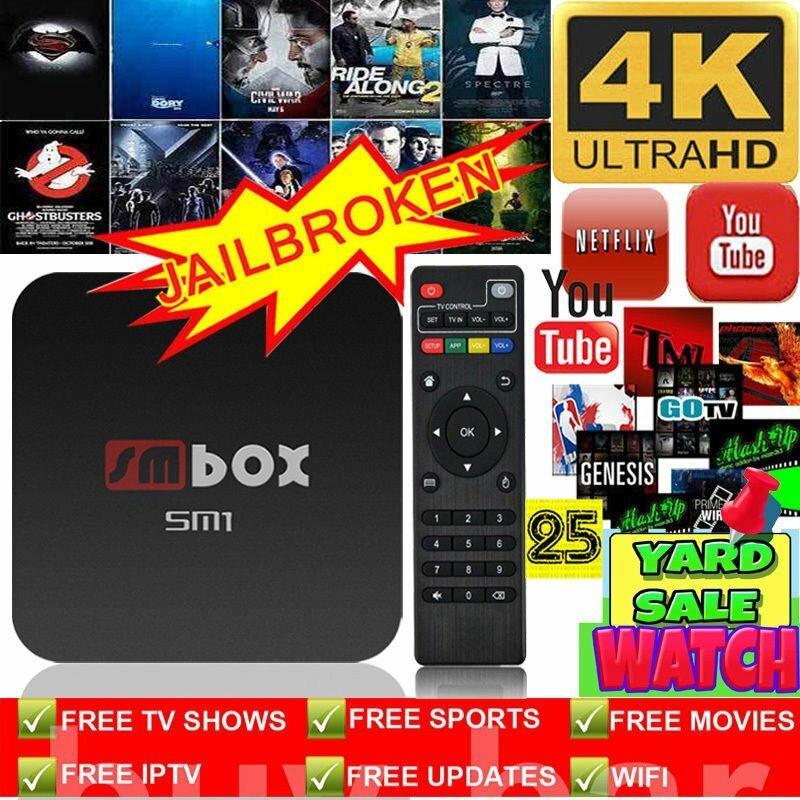 Fully loaded 2017 Quad Core SM Box Android 4.4 TV Box Fully Loaded KODI XBMC Free Movies and Sports jailbroken and ready to go. Simply plug into your TV via HDMI then select Kodi on the desktop and enjoy. Items are dispatched same day or next working day and typically take 1 to 3 days to arrive from our UK warehouse.